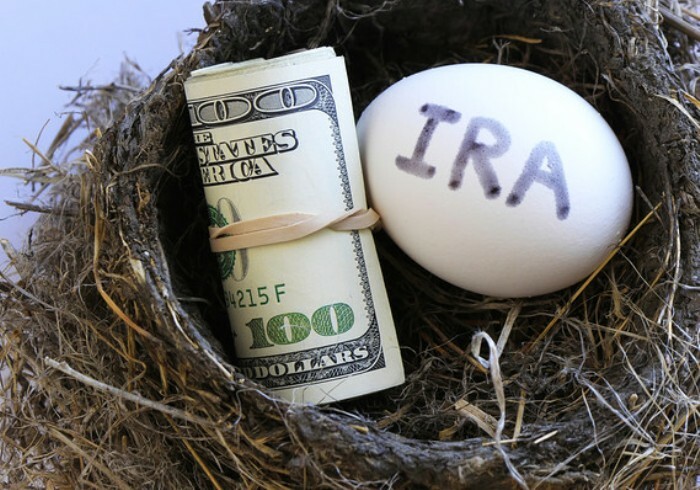 What Is an IRA? What's the Difference Between Traditional & Roth? IRA is short for Individual Retirement Account, one form of retirement savings. There are plenty of ways to save for retirement. Some people contribute to a 401(k) through their work. Others choose savings accounts, online investments apps, or a combination of these. There is no shortage of ways to invest for your retirement. Despite all these options, however, many people have yet to save a penny for their retirement. According to the Economic Policy Institute, most families living in the United States have little to no retirement savings. In fact, the average savings of any family in the US is a meager $5,000. Some experts recommend that by the time you retire, you should have 10 times your annual salary saved for retirement. There is currently a huge disparity in what we as a nation are saving and what we’re going to need when we’re older. So how do you bridge the gap? One option is with an IRA. 2 What is a traditional IRA? 3 What is a Roth IRA? 4 Are there limits on a Roth IRA? 6 How do you open an IRA? 7 What else do you need to know about IRAs? An Individual Retirement Account is an account that gives you tax breaks to invest in your own future. It is one of the most effective ways for you to save for your retirement. Depending on the type of IRA in which you invest, money that you deposit into the account is either tax-free or tax-deferred. There are plenty of restrictions and rules, but the general idea is that you deposit money and avoid paying income tax. The catch, however, is that you’re unable to withdraw the money without penalty until you reach a certain age. There is a limit to the amount you can invest per year, so you should consider investing the maximum amount. After all, once the money is invested, there’s no limit to how much it can grow. There are reports of IRAs in the hundreds of millions of dollars. These grew largely out of stocks that grew or split and are a direct result of equity grown within the account. While there are no guarantees of your own account’s growth, the golden rule of retirement planning still applies: the earlier you start, the better. The contributions limit for 2019 is $6,000 or $7,000 if you are 50 years old or over. A brokerage firm sets up the IRA for you and a custodian manages it for you. Once the money is in your IRA, you can direct the custodian to make investments on your behalf, again with several restrictions. There are several different types of IRAs with the most common being a traditional IRA and a Roth IRA. There are a lot of similarities between the two, but also some significant differences. The one you choose depends on your current situation and future goals. A traditional IRA, sometimes referred to as a deductible IRA, is completely deductible from your income in the same year that you deposit funds into your account. If you earn $50,000 per year and invest $5,000 in a traditional IRA, you are taxed on only $45,000 of your income. This has several advantages and benefits for multiple reasons. First, this tax-deferred benefit means that you do not pay income tax on the money invested until you withdraw funds from your IRA account. While you can’t avoid the IRS, you can hold them off with a traditional IRA. When you pay tax on money withdrawn from a traditional IRA, it is based on your tax rate the year of withdrawal and not from when you invested the money. There are two benefits to this, the first being that it can lower your current tax rate. If you are on the edge between two tax brackets, your traditional IRA can push you down to the lower rate. The second advantage, for some people, is that you’ll have reached retirement by the time you withdraw from a traditional IRA and your tax rate at that time could be much lower. If you think that your income will be lower later in life when you withdraw from your IRA, than a traditional IRA may be a good choice for you. Additionally, if you want to lower your current tax rate a traditional IRA may be able to help you. The downside is that you’re penalized if you withdraw from the account before the age of 59 1/2. The penalty for early withdrawal is 10% of the total taken plus applied income tax for the year of withdrawal. You are also required by law to begin taking distributions by age 70 1/2. Roth IRAs are almost the exact opposite of a traditional IRA in terms of taxes. While a Roth IRA is still an Individual Retirement Account, it is not tax-deferred. Instead, you pay taxes the year you invest in the account, but pay no tax when you withdraw your initial investment or any money that you have earned within the account. While there is no upfront tax break to a Roth IRA, there is the potential for a large tax break when you withdraw. Let’s compare with an example. If you invest a total of $50,000 in your traditional IRA, you pay no taxes on that $50,000 of your income for the year. You do, however, pay taxes on that money when you withdraw it, plus any money that you’ve made within the account. If you have a good investor and double your money, you’re now responsible for the entire $100,00 within the traditional IRA account when you withdraw. With a Roth IRA, if you invest the same amount of money and see the same return you only pay tax on the original $50,000 that you’ve invested. While you may be at a lower tax rate when you retire, the difference between the amount invested and the amount of the return may mean that your taxes may be lower with a Roth IRA if your investments have paid off. 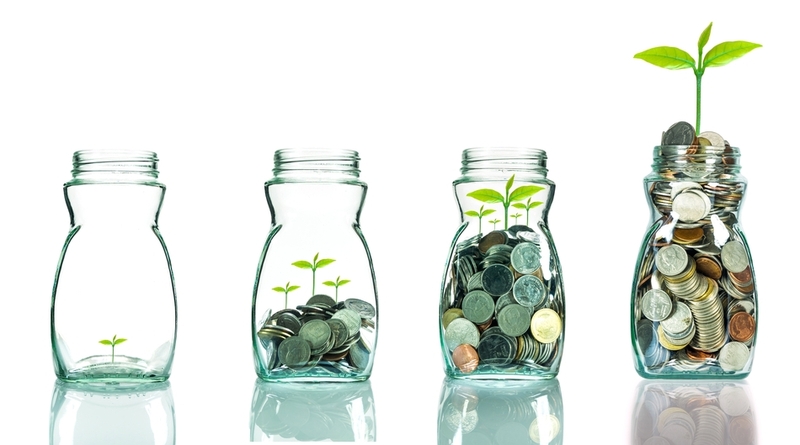 This is the fundamental difference between a traditional and Roth IRA. Plus, since you’ve already paid taxes on the money invested in your Roth IRA, there isn’t a penalty for early withdrawal. You are, however, taxed on any money earned within the account. There is also no age limit for required distributions. Are there limits on a Roth IRA? Because of the benefits of a Roth IRA, higher income brackets are limited in the amount they can contribute or are altogether ineligible. These amounts differ depending on whether you are married or single, but begin to come into play when someone makes $118,000 per year or more. If you make less than $118,000 and are single, your annual maximum contribution is $5,000 or $6,500 if you are over 50. If you are married, limitations start when your income reaches $186,000. If you go over those income amounts, your maximum contribution is reduced until you may not invest in an IRA when you reach these thresholds: $133,000 when filing as a single or $196,000 if you are married or filing jointly. These rules don’t apply to a traditional IRA. Anyone is eligible to invest the maximum amount into a traditional IRA because your taxed on the entire amount when you withdraw. If you are a high earner and want to maintain the benefits of a Roth IRA, there are some tricks you can pull to maintain the tax benefits without the limits. This is referred to, rather ineloquently, as a Backdoor IRA. In 2010, the federal government eliminated income limits on transferring from one IRA account to another. This now means that you can open a traditional IRA and then open a Roth IRA and transfer money from one to the other. You’ll have to pay some taxes when you transfer, but you won’t be taxed on the money earned within the new account and there are no limits to how much you earn. There are restrictions in any IRA as to what and with whom you can invest. You can invest in most stocks and bonds and you can even invest in real estate and other ventures. You cannot, however, invest in real estate if you are a direct beneficiary of that real estate. For instance, you may not live in the residence and there are restrictions on family members as well. The brokerage may have their own restrictions as well. It’s a good idea to talk to your financial advisor about your options or to discuss options with multiple brokers that offer IRAs before investing. How do you open an IRA? There are no shortages of brokers that offer traditional, Roth and other IRAs. The first decision is whether to open a traditional or Roth IRA. Remember, they both come with benefits and restrictions which, based on your situation, may be right for you. If you want to benefit from tax breaks now and think your income will be lower as you near retirement age, you could look at institutions that offer traditional IRAs. If you believe that you’ll earn significant returns on your investments and don’t want to be taxed on them in the future, consider a Roth IRA. There are plenty of so-called robo-advisors or online options to open an IRA. These websites typically have an a-la-carte selection of IRAs to choose from and will put your money in predetermined investments such as mutual funds. While these will likely be low risk, they typically don’t have a high return. Additional benefits are could include no monthly or annual fees and no transactional fees. The downside is that they are solely in control of your investment and while you can make minor changes, you aren’t in total control of your IRA. Self-directed IRAs are just that: an IRA, usually traditional or Roth, that you control completely. If you have the time, determination, and know-how, you can direct your funds into a multitude of investments and not just a fund. While there are likely more fees involved and there may be some restrictions, you can be in total control of the investments you make with your IRA. What else do you need to know about IRAs? While we’ve touched on the basics of IRAs here, there are a lot more rules, regulations, and options available to you. For instance, it’s possible to roll your 401(k) into an IRA if you choose to do so. The maximum contribution also changes from year to year, growing higher and higher. There are laws governing what you may or may not invest in that also need to be explored in detail. An IRA is a fantastic investment tool that can save you money now and in the future. It is one of the best retirement options, especially when you invest wisely. You can pair it with other investments to ensure you have a bright and happy retirement. Like most investments, investing in an IRA can be complicated and confusing. It’s crucial to contact some type of financial expert to learn about your options and make the right decision for your future. Choosing to start investing in your retirement is a great first step. Figuring out how you’re going to get there is the next. IRA vs 401(k) – Where Should You Invest Your Money? What Percentage of Your Salary Should You Contribute to Your 401(k)?